The Galileo program, including the EGNOS augmentation system, will receive EU funding to the tune of about €7 billion (US$9.55 billion) over the next seven years. The budget is broken down into specific project segments, presumably making it easier to limit costs and manage funding. 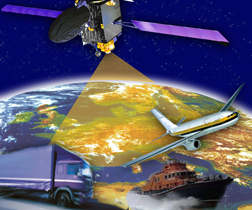 The GNSS money will be used for the completion of the satellite navigation infrastructure, operations, necessary replenishment and replacement activities, development of fundamental elements such as Galileo-enabled chipsets or receivers and, most importantly, the delivery at long last of real services. European Commission Vice-President Antonio Tajani, Commissioner for Industry and Entrepreneurship, welcomed the decision, focusing on how it will positively affect the European economy. The European GNSS Agency (GSA) also hailed the result, like the commission stressing the potential return on a massive European investment. A key to the Galileo program’s success in garnering new funding ultimately came down to its perceived potential to help Europe out of its now six-year-long economic crisis. Parliament’s rapporteur Marian Jean Marinescu said, "Today GNSS technology accounts for 7 percent of EU GDP, but its potential is far greater. Galileo and EGNOS will give Europe the means to build on that potential, while also ending EU’s reliance on foreign military GNSS technology." A statement from the Parliament stressed the program’s ability “to drive growth,” referring to its “vast potential for industry and new jobs in Europe.” Members of the European Parliament also insisted that some of the program’s budget should be set aside for developing new applications. A final step remained before the budget could enter into force — in December, as expected, the EU Council approved the budget at a ministerial meeting, and the cash started flowing on January 1. The Council also adopted the European Union’s next program for research and innovation. Dubbed “Horizon 2020” (H2020), the program features a strong focus on securing Europe’s global competitiveness and has a total budget of more than €70 billion for 2014-2020. Some of the H2020 money will go towards the development of applications for use with EGNOS and Galileo early services. This is funding in addition to the €7 billion allocated under the Galileo budget proper. None of this last-minute generosity came as a real surprise, as the political wheeling and dealing had been done and the various likely budget figures were known. Nevertheless, there has been a sense of relief in the air since the gavel came down, with the Galileo program now officially secure for the next six years. As for what those six years will look like, the launch schedule for putting operational satellites into orbit is certainly due for a reboot after the disappointment of 2013. The Commission though is still holding to the promised timeline for Galileo services, the first of which are to appear by the end of 2014. By 2020, the end of the current budget, Galileo is to be fully operational, delivering the previously described Open Service, Public Regulated Service, Commercial Service, and Search and Rescue Service. EGNOS has been fully operational since 2011. The adoption of the new budget also solidifies the governance scheme wherein the European Commission retains overall responsibility for the program, the Prague-based GSA will be in charge of EGNOS and Galileo operational management, and the European Space Agency will take care of satellite deployment, design and development of new systems, and other technical tasks. With all the necessary approvals out of the way, the Commission moved quickly to launch the first call for GNSS application proposals under Horizon 2020. The call, managed by the GSA and announced on December 11, includes €38 million for new European GNSS applications, including SME-based applications, applications developed through international cooperative initiatives, and awareness raising and promotional activities within and outside the EU. In another key development, the European space Agency announced in December that it had carried out a successful thermal-vacuum chamber test of the first new full operational capability (FOC) Galileo satellite. Those who have been following the story will remember the 4.5 meter-diameter Phenix chamber at ESA’s ESTEC Test Center in the Netherlands was implicated in last autumn’s delay that saw the next Galileo satellite launch pushed astoundingly into the middle of 2014. A second FOC Galileo satellite, ESA says, has also been undergoing tests to reproduce the physical shock of separation from its launcher. Thermal-vacuum testing of this second model will begin early this year. ESA says subsequent satellites will only require “acceptance testing” to check their workmanship, as opposed to the full-scale “validation testing” of the satellite design. The two satellites in question are to be launched together on a Soyuz rocket from Europe’s Spaceport in French Guyana. A news announcement released from ESA today (January 16, 2014) said that six FOC satellites would be put into orbit this year, providing Galileo early services around the end of 2014. The first two satellites would be launched in the first half 2014 and the following four satellites, in second half of the year. So far, though, the complete revised launch schedule demanded by the Commission last October has not been made public.